‘Ashoka’s reign for eight and twenty years was one of the brightest interludes in the troubled history of mankind. Such was Ashoka, the greatest of kings. He was far in advance of his age.’ H.G. Wells. Ashoka, the greatest of Mauryan emperors, launched a fierce attack on the kingdom of Kalinga; his intention was to conquer this rich and fertile kingdom. And this he did but there was misery and trauma all around. As realisation came crashing down upon him, he moaned to himself, ‘I am the cause of it all!’ From the ruthless conqueror of lands to the one who conquered millions with his doctrine of love and peace. 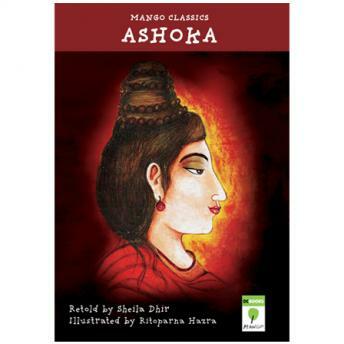 This is the story of Ashoka.